Consolidating its market leadership across Bahrain, Y.K. 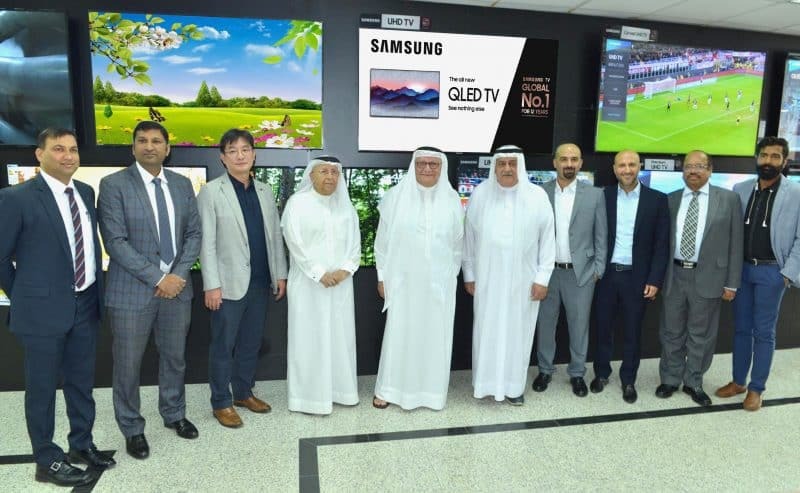 Almoayyed & Sons (YKA) today announced its partnership with Samsung Gulf Electronics to offer Samsung TV and AV portfolio in all four of its Electronic & Home Appliances showrooms – situated in Manama, Gudaibiya, Sehla and Sitra in the Kingdom of Bahrain. Through the partnership, Y.K. Almoayyed & Sons will be distributing Samsung’s QLED TV Series and Large Size TVs as well as a comprehensive range of audio products. With stores located throughout Bahrain, customers will be assured convenient and direct access to Samsung’s cutting edge innovations. Pushing the boundaries to bring the most engaging viewing experience, Samsung’s flagship QLED TV range combines legendary picture quality and awe-inspiring style to deliver the most spectacular viewing experience.